I discovered this recipe for a roasted tomato soup while browsing Pinterest. It just looks so yummy, especially with the tiny grilled cheese squares -- drool! Using a food processor or blender, puree the soup until it's smooth. Return it to the pot and stir in the cream. Without letting the soup boil, warm it over medium heat, stirring often, until steaming. Add salt and pepper, if necessary. Ladle the soup into bowls and garnish with Grilled-Cheese Croutons . Makes about 10 cups. Looks so good and so simple! Made me want to get out of bed and cook at 2 am. Only issue: I am at a hotel :( Thanks for sharing ! This sounds AMAZING. The perfect comfort food -- especially with those BRILLIANT croutons! I made tomato soup from scratch for the first time a few weeks ago, and it was absolutely delicious! Can't wait to try this recipe! I'm drooling over here. Nothing's better than a warm bowl of tomato soup for Fall. 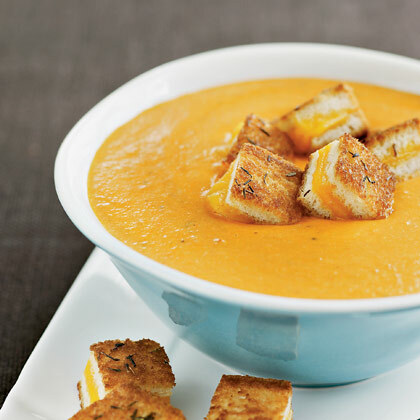 What great looking soup, but I love the cubes of grilled cheese! oh wow! 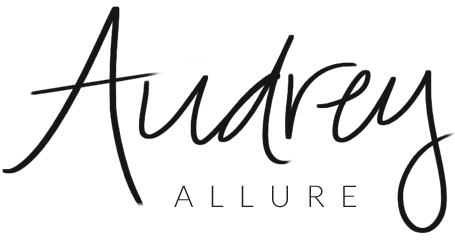 thanks Audrey! i never had roasted tomato soup. looks yummy delicious. Those tiny grilled cheese squares are to die for! Yum! This soup looks so delicious!!! I must try making this recipe soon. Thanks so much for sharing. Yum! I love tomato soup. Today I had lentil vegetable soup in a bread bowl -- so good! I had tomato soup the other day, I want to try this recipe. I love a good classic soup.